One of Spain’s most breathtaking Balearic Islands, teeming with glistening beaches, rugged coastlines and the Mediterranean Sea stretching out beyond the horizon. Nestled on the west coast of Mallorca, our holiday places you in one of the most beautiful and tranquil beachfront towns, Santa Ponsa. Rest, relaxation and recuperation are all catered for with the classic elements of our half-board beach break. 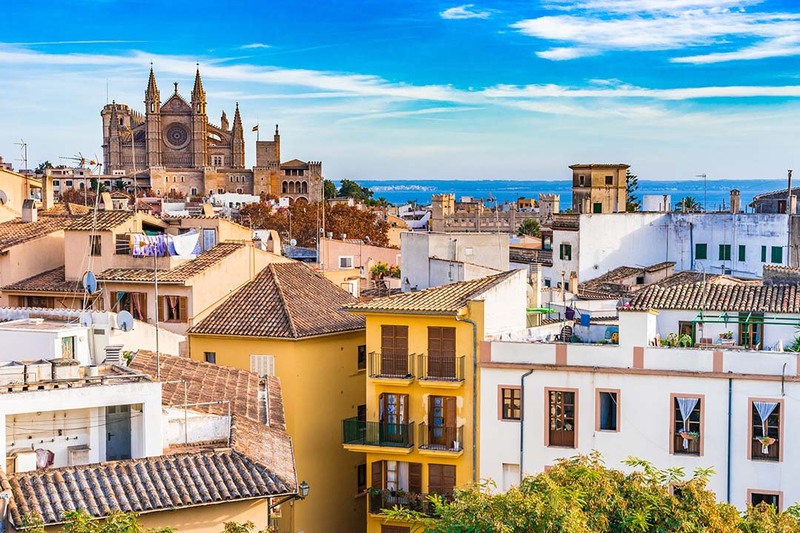 Our holiday will also provide a slightly different flavour – golden sand, tantalising tapas and ice cold sangria will be intermingled with Mallorca’s vibrant cultural and historic gems. We shall embark on a tour of Mallorca’s impressive capital, Palma, then venture to the idyllic port town of Soller and hit the waters to view the natural beauty of this island. 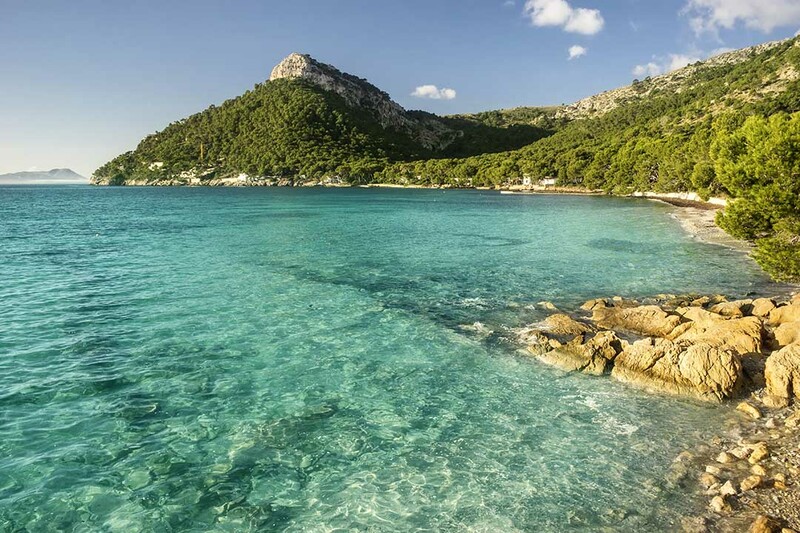 Discover Mallorca for what it really is – a truly idyllic beachfront sanctuary dotted with undiscovered and intriguing antiquity. Today we shall fly to Mallorca where we will transfer to Santa Ponsa, our base for the week! After some time to settle in to our surroundings, we shall meet for dinner together. Overnight in Santa Ponsa. Dinner included. After enjoying breakfast in our hotel, we shall then meet as a group and begin our journey to the capital of Mallorca, Palma. This stunning centre boasts a plethora of historical sites, eclectically dotted amidst bars, restaurants and luxurious shops. Each cobble stoned lane leads you down a street more picturesque than the last. Here, we shall meet a local guide who will take us on a journey through old town Palma, where we shall uncover the intricate and beautiful architecture found around the city and learn about Mallorcan traditions. 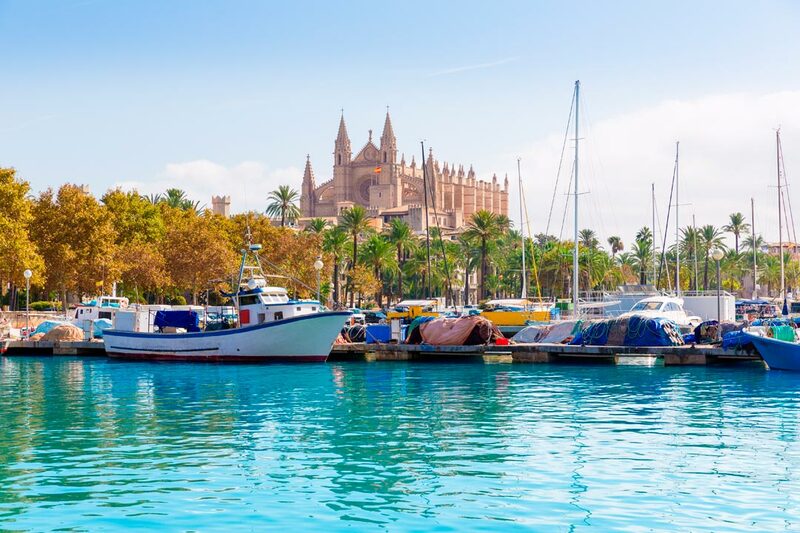 Our guide will take us to the most significant and notable sites around Palma, such as the exquisite example of gothic architecture of the Cathedral, down the winding medieval streets and through quaint plazas. Following from our tour, we shall have some free time to continue our exploration of Palma. Perhaps you may wish to revisit some of the sites from our tour to delve deeper into their rich history, or make your way to Avinguda de Jaume for a flavour of Palma’s glamourous shopping scene. After ample time in the capital, we shall make our way back to the hotel for the evening. Breakfast and dinner included. Overnight in Santa Ponsa. Today we can soak up the sun, sea and sand, all of which are in abundance in our coastal town of Santa Ponsa. Head down to the beach to revel in the tantalising Mediterranean sun, dive into the rejuvenating ocean water and feel the stresses of everyday life melt away. After a leisurely morning, we shall once more make our way to Palma, where we will be dropped off at the train station. 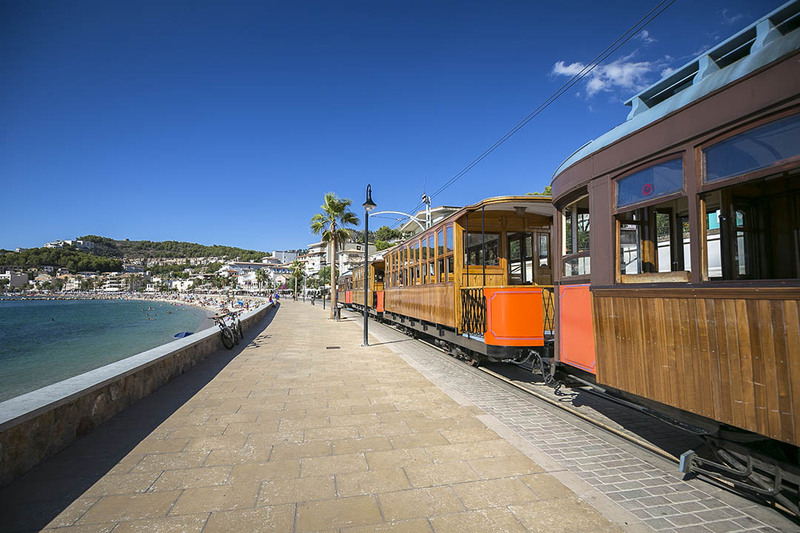 Here, we’ll board the Soller vintage wooden train, which takes us on a spectacular journey through the countryside from Palma to Soller. Our hour-long journey takes us through quaint towns such as Son Sardina and Bunyola, before travelling through the mountainous Tramuntana region, through twisted tunnels and over the Soller viaduct. As we weave through the mountains, prepare to be bowled away by the spectacular scenery, the imposing mountain faces and bright verdant greenery. 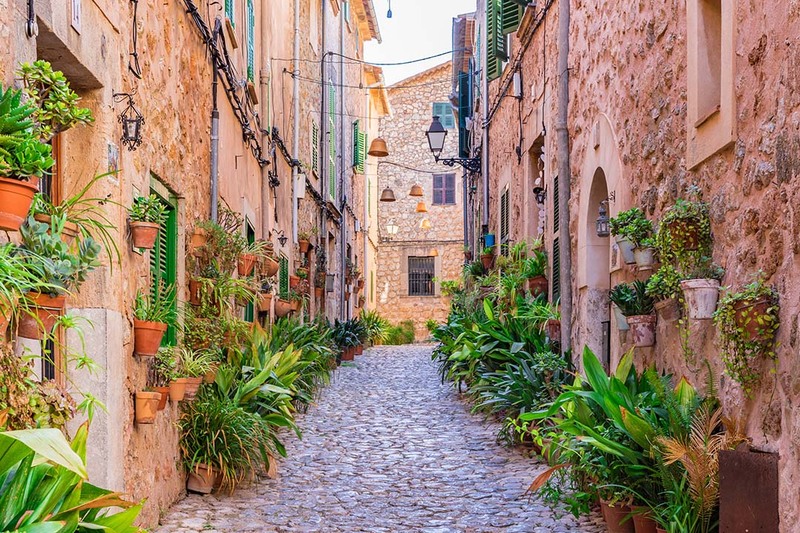 Upon arriving into Soller, we shall have time to explore this old Mediterranean town, brimming with delectable cafés, beautiful architecture and an authentic Spanish ambience. After ample time, we shall board the vintage tram that runs from Soller to Soller Port. As we trundle along the old lines, we shall pass through the orange groves, which this area of Mallorca is famed for. 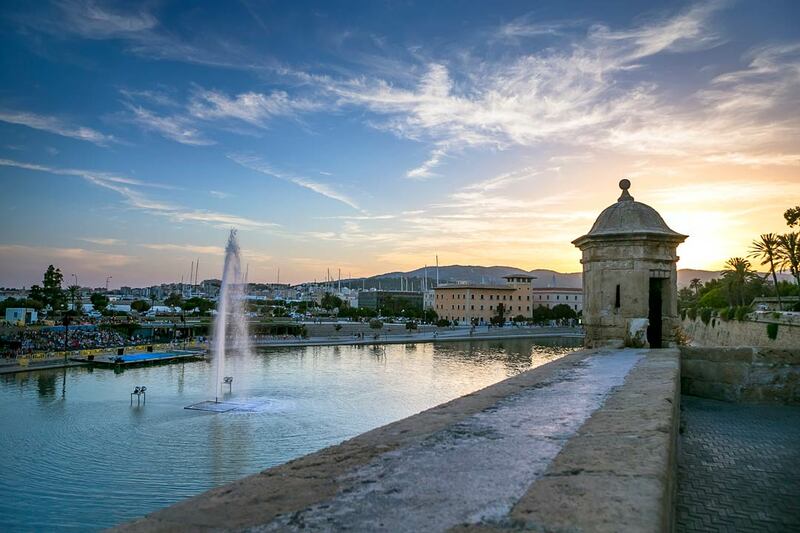 The port remains relatively untouched by tourism, maintaining its traditional charms and really is a sight to behold. 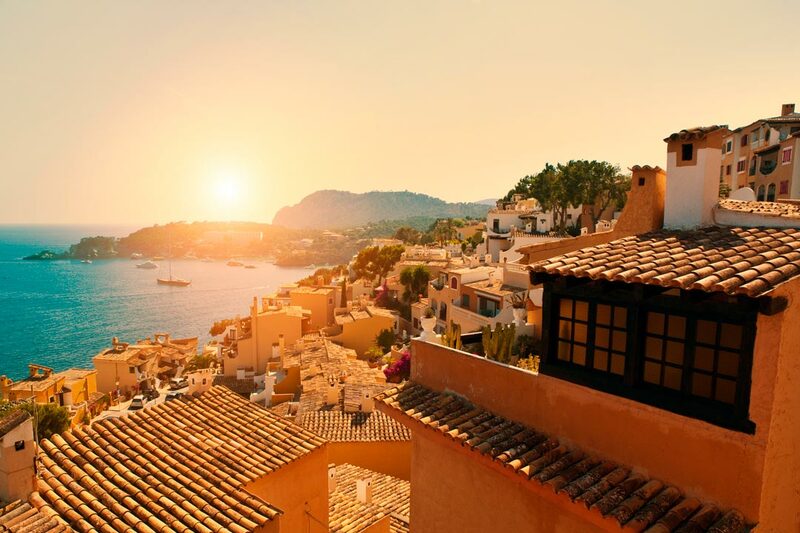 Surrounded by hilly terrain and lined by a beautiful white sand beach with turquoise waters lapping upon the shore, Port Soller is the definition of postcard perfect. We shall then return to Soller to catch the train which will return us to Palma. From here we will then go back to our hotel for the evening. Today is a day at leisure, what you do is up to you! Continue with the Mediterranean way of life, basking in the warm suns glow or perhaps embark on some of your own exploration of this charming island. You may wish to head to Port Andratx, a stone’s throw away, a resort packed with stylish villas and upmarket restaurants. Once a quaint fishing village, Port Andratx is now considered one of the must visit destinations in Mallorca. Today we take to the waters to observe the outstanding landscape of Mallorca from the sapphire waters of the Mediterranean Sea. We’ll sail past the stunning landscape along the coastline, passing Cala Fornells, Camp de Mar and Puerto Andratx. We shall continue our journey until we reach the national park, Dragonera Island. This island is a nature reserve, home to 361 different plant species, of which 18 are endangered, and an abundance of animals, many of which are indigenous to the area. We’ll have an hour of free time to explore Dragonera, take a dip in the water and explore the caves surrounding the island, pay a visit to the islands museum or simply wander across the land and take in the breathtaking natural beauty to be found. Following this, we’ll reembark the catamaran and begin our travels back to Santa Ponsa. Today enjoy one last day on the beach. You may wish to enjoy some water sports or take the opportunity to take to the water on a catamaran cruise. Tonight, enjoy one last dinner together as the sun sets on our adventure in the jewel of the Mediterranean. Today we check out and begin our journey back home! Arrival Airport: Palma Airport, Mallorca. Departure Airport: Palma Airport, Mallorca.